One of my favorite parts of the BSBP, Bead Soup Blog Party, is how carefully Lori Anderson of Pretty Things matches up the partners. I have been lucky enough in the past to have some truly wonderful partners and I have to say that the trend continues! Beckie Robison of Spiral Fire Studios is super talented and very busy. 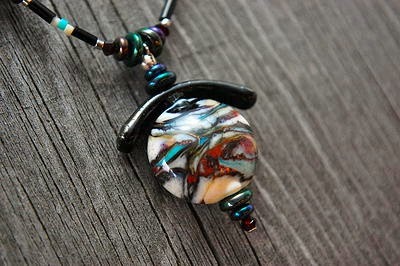 She makes her own lampwork and fused beads and somehow manages to find time to make her own jewelry and work in a gallery. 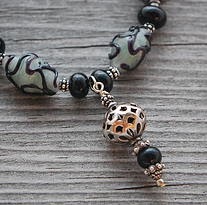 Be sure to head over to her website to check out these gorgeous pieces that she has up.